Introducing slate, our new faux woodgrain finish - vintage, traditional, modern, rustic, reclaimed. Insulated steel and composite carriage house style garage doors. 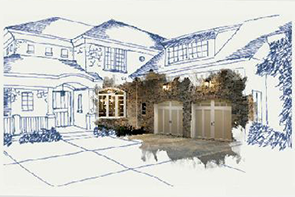 Anchor Door & Window (Kamloops) and Anchor Door Services (Kelowna) is an established family-owned and operated company that has been successfully providing high-quality garage door products and services to the interior of British Columbia for over 30 years. In 1984, Anchor Door & Window began providing the residents of Kamloops with all their garage door needs. Over the years, our client base rapidly expanded through-out the Interior, and in 1987 Anchor Door Services was established in Kelowna, B.C. to yet further broaden our customer reach. 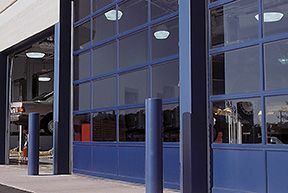 Along with this, our product line and services increased substantially to include the supply, service and installation of both commercial and residential doors/frame, windows, security gates, fire doors and security shutters. 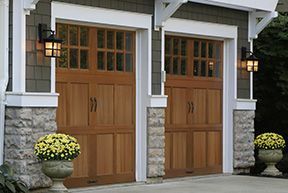 Garage and Entry Doors to Match Your Style and Budget. We are proud to be a Master Authorized Dealer of Clopay® garage doors and entry doors – the only garage door brand backed by the Good Housekeeping Seal of Approval. We are also a Provantage® Dealer for LiftMaster garage door openers – the world’s #1 professionally installed garage door opener. We welcome the opportunity to extend our expertise and services to you! Whether your requirements include design options, installation, or repair, our team of professionals are here to help. When you choose Anchor Door & Window (Kamloops) and Anchor Door Services (Kelowna), you will quickly understand why the British Columbia area has chosen us as their “door company” for over three decades. Recognized as market leaders, both locally and throughout Clopay's dealer network. Dedicated to providing superior levels of professional expertise and responsiveness in sales, installation and service.